…all I know is how I did it. Back in 2015 I thought it’d be cool to create a new whiteboard animation video to demonstrate the power of visual memory. You might've seen it – it challenges people to test their verbal memory and then their visual memory. I’d been working on that video all day to get it posted on the Memorize Academy YouTube channel, but it was after midnight (here in Toowoomba, Australia) before I finally hit ‘Publish’. When you create something for other people – no matter what it is – you’re super eager to hear what they think. So I stayed up for another hour to see if anybody watched it. …15 people had viewed it!! As comedian Jerry Seinfeld says, the fear of public speaking is more common than the fear of death. So when you go to a funeral, most people would prefer to be in the casket up the front than sitting in the congregation. Imagine if the thought of giving a speech gave you a feeling of excitement rather than anxiety. That would be a dream come true for many people, but is it possible? One way to boost your confidence for public speaking is to learn better public speaking skills. This is called the Competence/Confidence Loop and it's something you can apply to any area of your life. You can hack almost any skill by breaking into this loop. Not very competent at ice skating? Have the confidence to get out there and give it a try. Fall down, get back up again and have the confidence to try again and again. In 2013, I published a book on Amazon explaining how to memorize the periodic table. It wasn’t so much a ‘how to...’ book as a cool brain hack. When you read the book it creates memories in your head – memories of the names of all the chemical elements. Yes, I know it sounds far-fetched, but let’s just say it taps into how your brain naturally works and leverages a bit of neuroscience geekiness. It really works. The book became a best-seller, but I still wanted to sell more copies. So what’d I do? One of my early promotional ideas was to create a whiteboard animation video on YouTube, encouraging people to go and purchase a copy of my literary masterpiece. The video flopped … kind of. Nobody went and bought the book, but a LOT of people were watching the promo video. "I know your name but I don't recognize your face", said nobody ... ever. Why is that? Why are we usually much better at faces than names? Two of the ways your memory is tested on a daily basis is by challenging it to recognize something or to recall something. When we recognize an image, smell, sound, taste or feeling it's because we've experienced it before. It doesn't require much effort - our mind does it automatically without us even trying. That's why we're much better at people's faces than their names. Remembering a face is all about recognition, but remembering a name requires us to recall it from our memory. The first video above demonstrates the amazing ability of our mind to recognize images, even when we've only seen them briefly. Over 80% of people recognize 29 or 30 of the images, and 100% recognize 25 or more. Wow! If you’d like to remember and recall all the British monarchs, this video will make you do exactly that in only a few minutes. 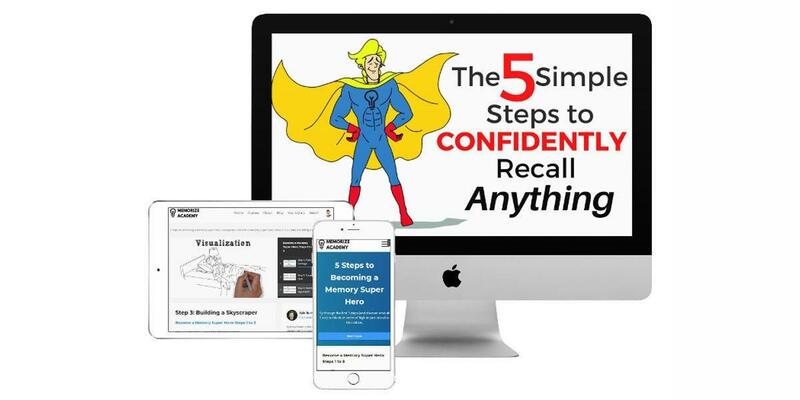 Human memory is predominantly visual, and you can take advantage of that by visualizing what you need to remember and connecting it to something you already know. And that’s what I’ll do in this video. Picture each image in your head, and I’ll connect them for you using a crazy story. When you want to recall the names of all the British monarchs, here’s what to visualize. Picture the royal throne where the monarch sits. You know it’s the throne of the British monarch because the British flag – the Union Jack – is on the wall behind it. In this video I’m going to activate the amazing power of your visual memory and make you memorize the 10 longest rivers in the world, in only a few minutes. The key to effective memorization is visualization and association. I’ll show you exactly what to visualize in your mind, and how to link it to the name of each of the 10 longest rivers. Focus on picturing each image in your head, and you’ll be amazed how easily you remember everything. When you want to recall the names of the 10 longest rivers, here’s what you’ll visualize. Picture a long winding river. I'm going to hack your brain and make you memorize the 7 Wonders of the Ancient World faster and more effectively than you ever thought possible. The key to effective memorization is visualization and association. I'll show you exactly what to visualize in your mind, and how to link it to the name of each of the 7 Wonders. Focus on imagining each drawing in your head, and you’ll be stunned how easily you remember everything. When you need to recall the 7 ancient wonders, here’s what you’ll visualize. To memorize pi 10 times faster than you ever thought possible, you need to do what memory experts do, and use your visual memory. In this video I’m going to make you memorize pi to 20 decimals by showing you what to picture in your mind, and connecting all the pictures together using a crazy story. Instead of visualizing a number, you’ll imagine an object that rhymes with a particular number. To remember the number one you could create a mental image of a gun, or a nun, or the sun. None of the digits from zero to nine rhyme with each other, so you won’t get confused. Let’s get into it and you’ll see how simple it is. Focus on imagining each picture in your mind, and you’ll be amazed how easily you can recall everything. Memorizing the names of all the Olympic cities 10 times faster is super easy when you know how your memory works. 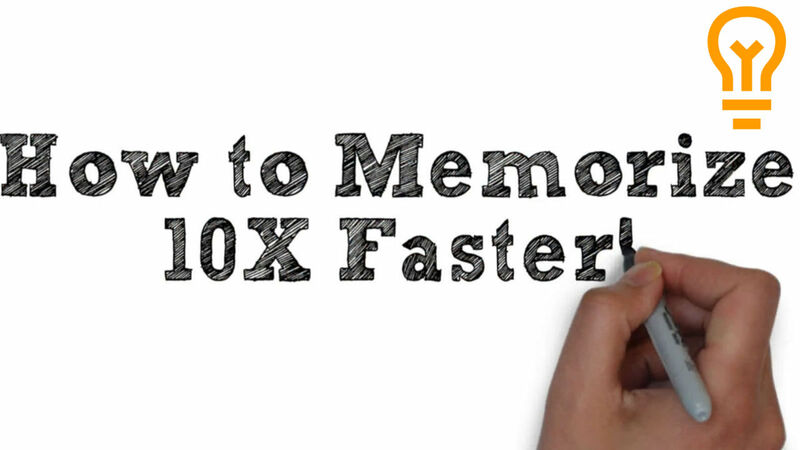 Most people use their verbal memory, but memory experts use their visual memory. In these videos I’m going to hack your brain and make you do what the experts do. I’ll tell you exactly what to picture in your mind, and I’ll draw it for you as well. Then, your visual memory will do something astonishing and you’ll be amazed how easily you can recall the names of all the Olympic cities. We’ll begin by picturing the Olympic rings, the five interlocking circles that are blue, yellow, black, green and red. They’re painted on the ground, and walking over and playing among the Olympic rings are eight hens. Memorize the US Presidents in Less than One Hour! To memorize the presidents of the United States faster than you ever thought possible, you need to do what memory experts do - use visual memory techniques. I’ll tell you exactly what to picture in your mind, and in the video above - I’ll draw it for you too. Focus on seeing each image in your head, and you’ll be amazed how easily you can recall everything.